The archangels are God's special servants. They help us out in many ways. The name Michael means, “Who is like God?” and this is his battle cry when he takes on the powers of darkness. 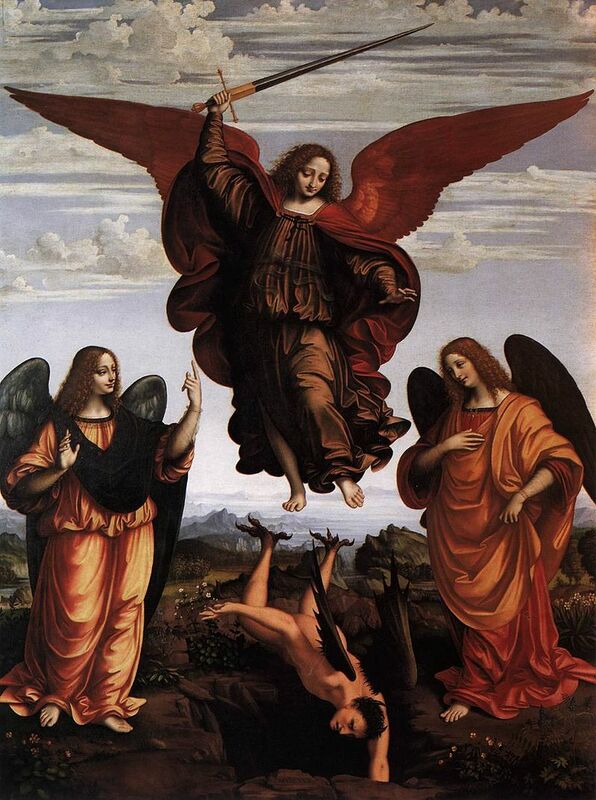 When satan and his followers fought against God, Michael led the good angels and triumphed over evil. Even in the early days of the Church, Christians asked Saint Michael the Archangel to be our protector. The name Gabriel means "God is my strength." He is the angel who told Mary that she would bear the Messiah, and that God's salvation was coming to help us all. The name Raphael means "God has healed." In the book of Tobit, he appears to guide Tobit's son Tobiah through a series of fantastic adventures, ending with Tobiah's marriage to Sarah, the healing of Tobit's blindness and the restoration of the family fortune. God always provides what we need, and sometimes what we need is angels to defend us. In our family, we ask Saint Michael to defend us every single day. So, pray and memorize the prayer to Saint Michael the Archangel and be sure to use it whenever you are feeling weak, alone and frightened.